These are Links to sites of interest to the Seabee lover. They include weather services, FAA sites, museums, parts and others. If you have an interesting link, let us know! We can't guarantee that we will list it, but we will look at it to determine applicability. Thank you. The Aircraft Owners and Pilots Association (AOPA). Join today! comes to Seaplane 'public education'. Check them out. Seabee Facebook Page Est. May 2010 by Member Brigid Blaschak. Thanks Brigid! We are a small company located in Troutdale, Oregon, that specializes in antique aircraft parts. We also stock an assortment of aircraft hardware, components and specialty tools. Our hours are from 9:00 am to 5:00 pm Monday thru Friday, closed holidays. A pilot's dream. If they don't have it, it probably doesn't exist! I have visited the shop and it is first rate. Located at Ft. Lauderdale Executive airport at Banyan Air Services (South side of the airport). 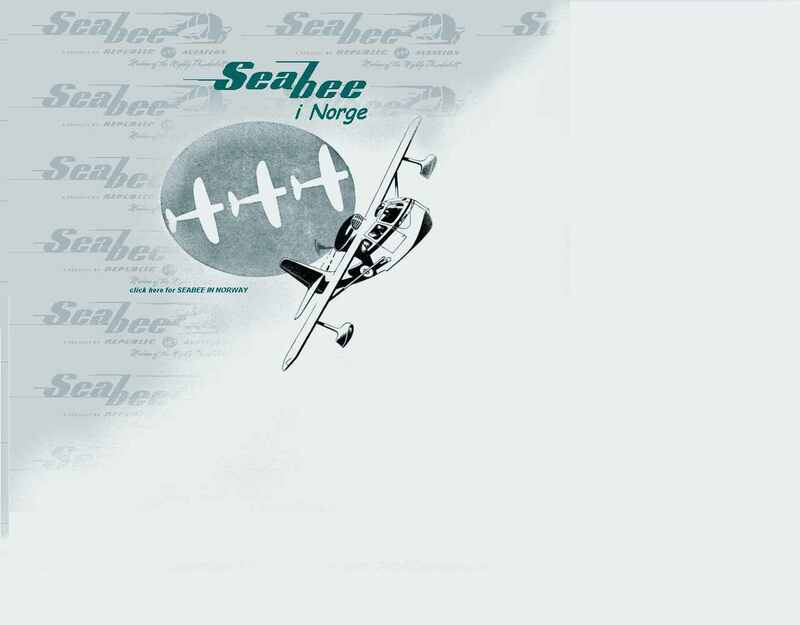 Buy Seabee Manuals here! Essco has tons of other manuals as well. Are you running out of panel space? 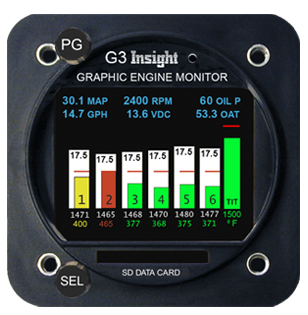 This engine monitor system fits into a standard 2-1/4" hole and has all the information you could ever want with respect to what your engine is doing! It also records what your engine is doing in an Excel file every second so you will never miss that little engine "glitch" that always seems to happen when you are not looking. A very reasonable price as well. Great customer service and support. Check them out at http://insightavionics.com/g3.htm. Note: The G3 is STC'd for the Seabee so just install it, fill out the 337 (U.S.) and go fly! This instrument is approved for primary EGT and CHT only. The additional features (fuel flow, RPM, MP, etc.) are secondary only but are extremely accurate! The customer service from Insight is second to none! Aviation weather of all sorts. This is the real thing. Aviation resources. This very extensive web site has most everything (except Seabee parts!) you would need to find aviation information. Check it out at http://www.globalair.com/. The airport information is especially complete. 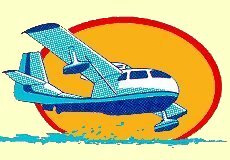 This is a great web site for pre-flight planning. This is a site for finding airport information, navaids, fuel prices and airspace fixes. flight planning, events, pilot supplies, expert forums, discussion boards, and flying links. Interesting stuff! All kinds of information for all kinds of pilots. Check out their rules of thumb section. This is the Curtiss Museum where Jim Poel flew the Curtiss A-1! and it looks like an interesting website complete with pictures and videos of Seabee's! This is the home of the Spruce Goose! Check it out at www.sprucegoose.com. 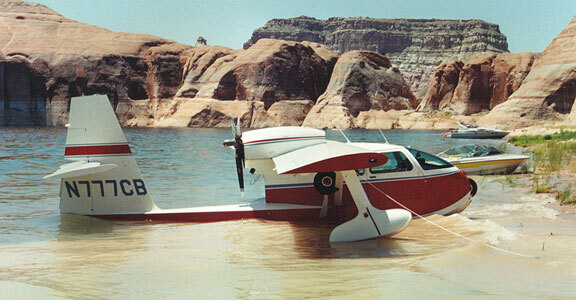 They have restored a Seabee! Sounds like they have their priorities in order! Get your "Determined Bee in Flight" graphics here! Very good quality! They also customize any logo you choose. A website dedicated to the information collection of Seabee information! An outstanding website that compliments this website very well. Steiner Sevdal is the one in charge. Way to go Steinar! Spencer Aircar Project..Excellent! Watch on going construction.